When someone mentions Norfolk in mid-February, what immediately springs to mind? Cold certainly, wind a high probability but camping? Only if possession of a full complement of fingers and toes is not something to which you aspire whilst frostbite is considered a mere inconvenience. 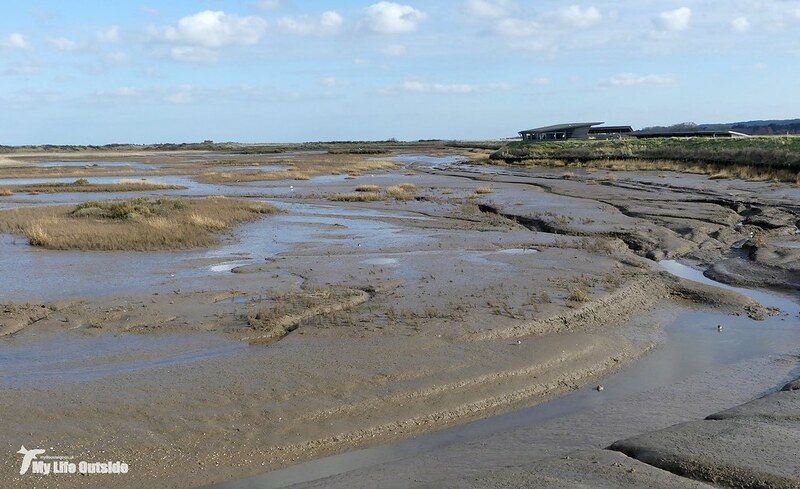 And that’s a shame really as with good birding to be had and those wide open vistas to enjoy, Norfolk really has a lot going for it at this time of year. 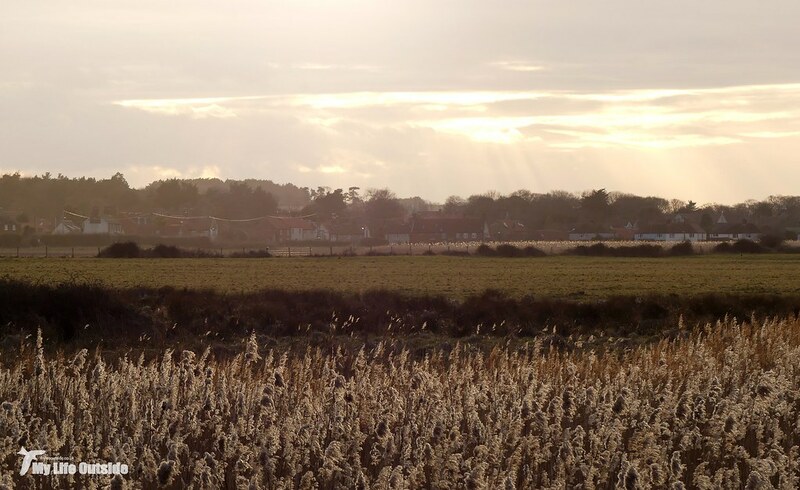 In the past we’ve splashed out on one of the few hotels local to Titchwell but with prices at over a hundred quid per night that’s not something I was particularly fond of repeating. Clearly we needed alternative options and at this point anyone who’s familiar with my aspirations for 2018 may have an inkling as to where this post is heading. Let’s start with Saturday morning which dawned cold (see I told you) but with a clear blue sky and the promise of more to come. 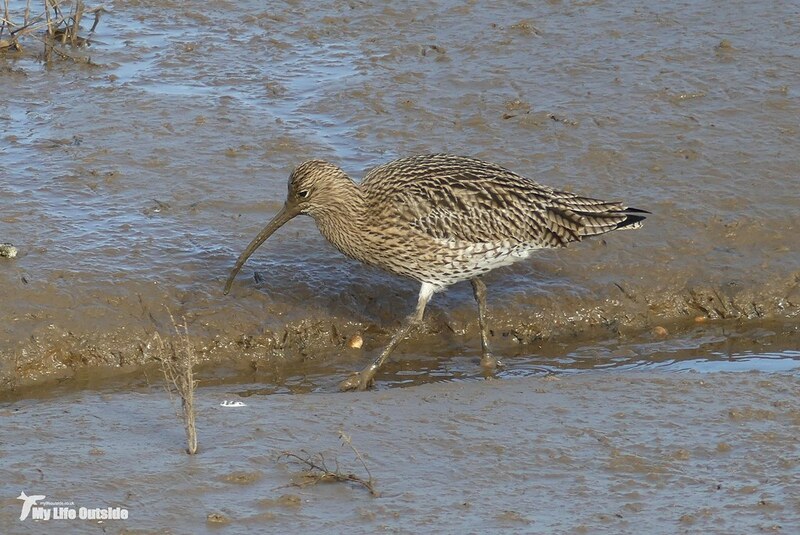 Birdsong abounded from Skylarks in early voice to the burbling call of Curlews, several of which were to be found feeding in neighbouring fields. Overhead Pink-footed Geese passed heading in the direction of Holkham whilst the previous evenings Tawny Owl was still fresh in our minds as we made breakfast and took in our surroundings. So where were we? Not in any swanky hotel that’s for sure but rather on a campsite just outside Brancaster though canvas and poles couldn’t have been further from our minds. Instead we sat in the back of a brand new VW T6 Transporter Kombi, purchased less than a week before and with its second row of seats removed the ideal base vehicle for weekend adventuring. Admittedly conditions were a little basic lacking insulation, lighting, heating or a bed but even on this first trip away I could already sense that we’d made the right choice. A basic meal the evening before cooked on our small stoves had given way to a surprisingly comfortable night’s sleep, the Milky Way spread out above us and clearly visible thanks to wide expanses of glass and precisely zero curtains. As soon as the weather warms we’ll be diving into a full camper conversion but for now it was just enough to be out in the wild again after what’s seemed like a very long winter indeed. 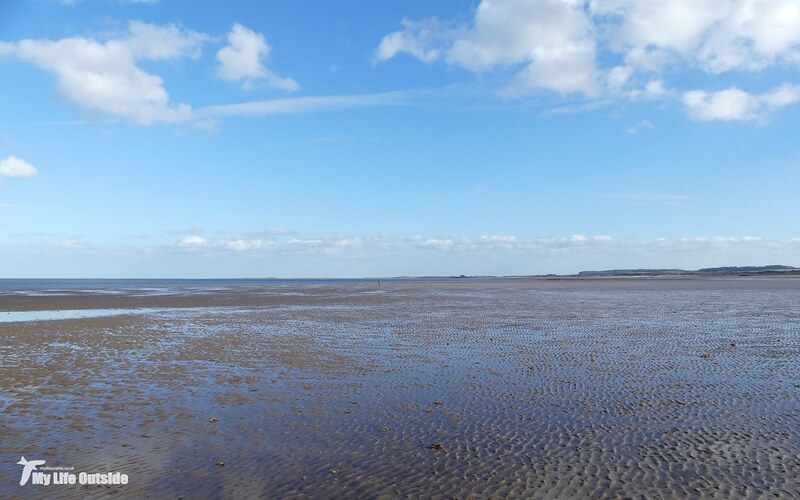 I’ve spoken before of my love for this stretch of North Norfolk coast and it’s no surprise that we made a beeline for Titchwell first thing. With the roads quiet our drive in was accompanied by a plethora of wildlife including a stunning Barn Owl hunting low plus the usual assortment of Red-legged Partridge, Pheasant and Woodpigeon, all three seemingly with a death wish. More unusual was a Red Kite perched on the ground, a species which although still uncommon this far east is becoming an increasingly regular sighting. There were more Pink-footed Geese too, one field in particular holding well over two hundred with a smattering of Lapwing and Golden Plover thrown in for good measure. 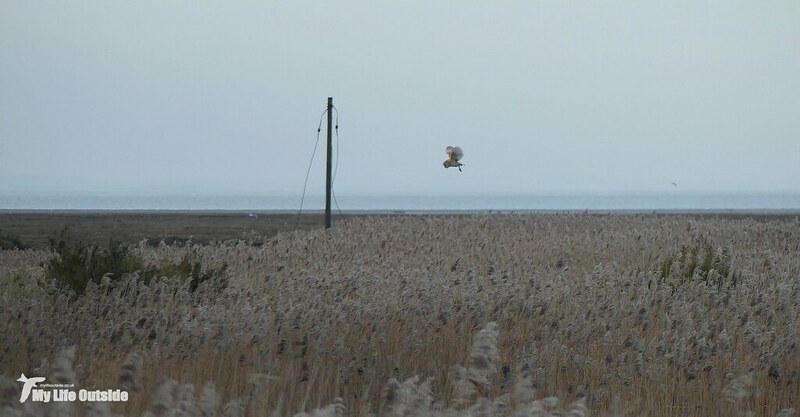 At Titchwell itself we headed straight for the Fen Trail where a lone Linnet was a nice early tick before the first of five Marsh Harriers appeared quartering the extensive reedbeds spread out before us. I still can’t get over just how numerous these birds have become when I think back to years gone by and fruitless evenings spent waiting for just a single individual to appear, usually to no avail. In early morning sun their colours were simply gorgeous, a rich tapestry which catches my eye anew with each encounter. We clearly weren’t the only ones to have noticed either as the sky filled with forty Avocets, roosting postponed at least for a little while. Over at Patsy’s Reedbed a lone Stock Dove flew past whilst on the water a decent selection of waterfowl including Gadwall, Tufted Duck, Teal and Canada Geese were to be found. Sadly no Red-crested Pochard this time out but as consolation prizes go a male Brambling in nearby scrub is more than acceptable. It was only much later in the day that a fellow birder told of at least thirty Bramblings in the same area, a huge flock the likes of which I can only imagine. Sadly we didn’t have time to go back and check for ourselves but it certainly makes me reconsider our earlier identification of a Chaffinch flock in the vicinity. Out on West Bank we got our first real view of the reserve as a whole and I liked what I saw. Off to our left hundreds of Brent Geese were on the move, feeding out towards Thornham before heading our way as the afternoon progressed, whilst from our right came the unmistakeable calls of a Cetti’s Warbler, my first of the year. Singles of Little Egret and a showy Common Snipe mixed with noisy Redshanks before it was in to Island Hide. Water levels there were high meaning wader numbers were limited but that hadn’t stopped the now resettled Avocets from picking out a nice, if a little distant, spot. 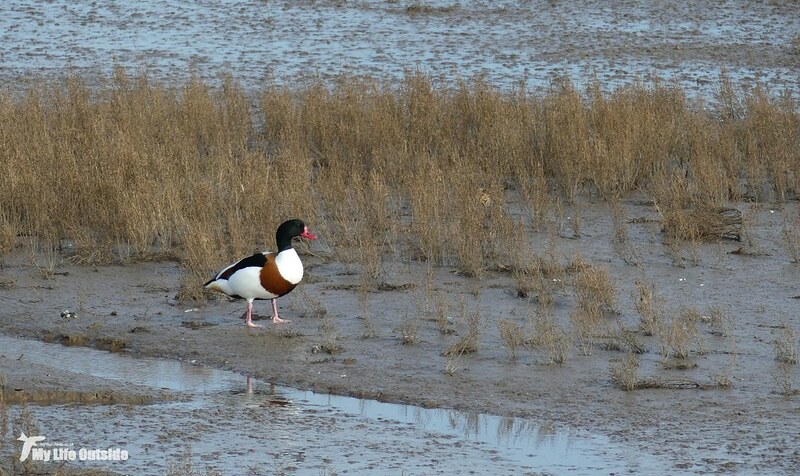 Other notable attendees included a rather showy Mediterranean Gull and an even showier male Pintail. 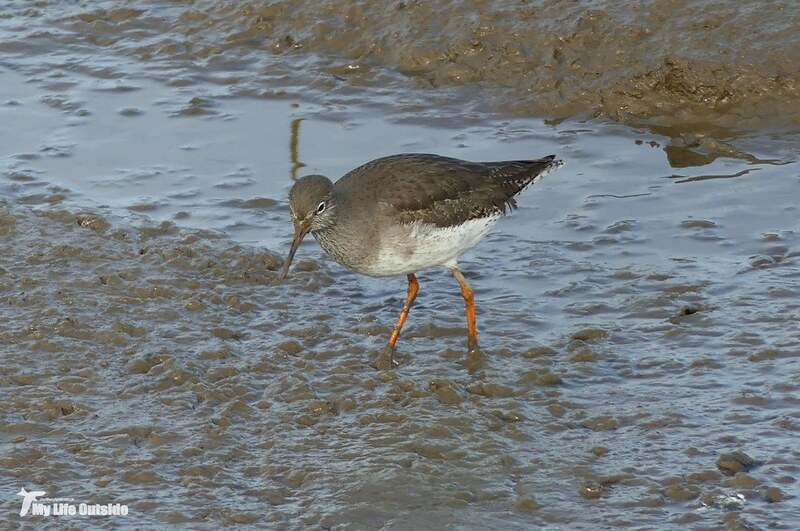 The real action though was over on the Volunteer Marsh where the low tide had left acres of exposed mud and with it a wader bonanza, low in numbers but high in species. A trio of Grey Plovers caught my eye immediately followed in quick succession by a lone Black-tailed Godwit, small flock of Dunlin, two Ringed Plovers, one Golden Plover and at least twenty six Knot. The latter seemed very unsettled and gave a couple of superb flypast's. The Redshanks and Curlews weren’t bad either. Then came the beach. 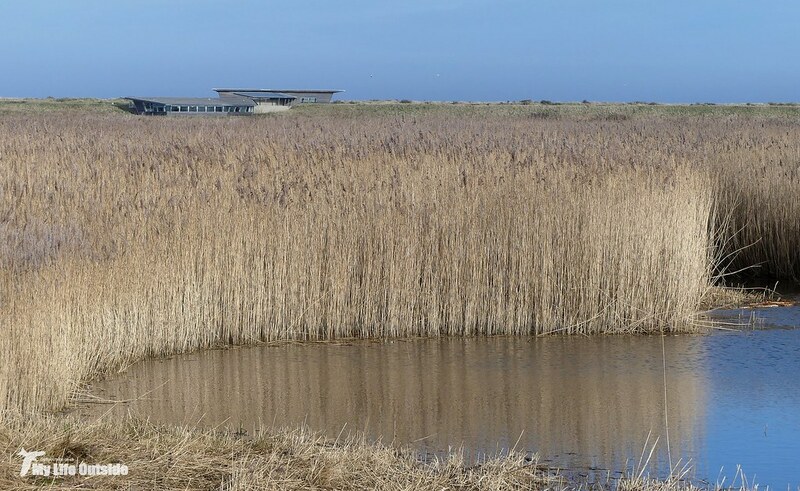 Once a place I relished more for its abandoned second world tanks rather than its birds this is now the place at Titchwell to pick up something really rather special. Where else for instance am I ever likely again to encounter a Little Auk flying directly towards my head before veering away at the last possible minute? I wasn’t expecting such rewards today on what was after all a relatively benign weekend of weather but it was nice to a see a couple of winter plumaged Great Crested Grebes knocking about as well as both male and female Red-breasted Mergansers. Cormorants passed by at regular intervals before a raft of two hundred Wigeon, one male Eider and three Goldeneye all took their turn on this biggest of stages. Plying their trade along the water’s edge were forty or more Bar-tailed Godwits, Turnstones and Sanderling before one final glance delivered the hoped for Common Scoter. With something like eighty species already in the bag this was turning into another classic day at Titchwell, with just two notable exceptions. First of these was Water Rail, normally an audible tick at the very least but today strangely absent, right up until we found one feeding out in the open near Fen Trail. Had it not been early evening I’d have lucked out completely but it was so dark beneath the trees that I really couldn’t get anything usable on camera. I had more luck however with our second omission which chose to arrive in style. Whilst watching the Water Rail we'd become aware of a commotion behind us only to turn and find a Barn Owl hunting off West Bank. The dilemma! Water Rail or Barn Owl! Rarely has a choice been so hard but the Barn Owl had to win in the end and we were treated to spectacular views topped off by a flypast right across the path splitting those watching in two. Absolute magic. All the while another spectacle had been developing behind us with the Marsh Harrier roost already having built to seven birds and almost certain to rise further before dusk. We though were definitely in need of some warmth and sustenance before our second night in the van so decided to call it a day, but not before popping into the RSPB shop and picking up with another haul of pin badges. I knew I shouldn’t have started this collection but at least all the money goes to a good cause and when the results are as good as this, well, that’s money well spent in my books.